Some cancer survivors face significant challenges after they have been treated. Cancer therapy (chemotherapy, radiation, surgery or stem cell transplant) may result in "late effects." These late effects include cognitive effects, infertility, cardiovascular effects, endocrinopathies, psychosocial concerns, and risk of developing new malignancies. Adding to this complexity, is that some of these late effects don’t emerge until years or decades after the completion of cancer therapy when survivors have moved on from pediatric oncology care. Survivorship care seeks to keep cancer survivors healthy off therapy and well into adulthood. To do this, survivors are educated about potential late effects of therapy and undergo screening for late effects of therapy based on their treatment specific risk. As survivors age and assume more responsibility for their care, it is recommended that each survivor have his or her own individualized plan to ensure that he or she knows about these health risks, and recommended screening to advocate for themselves across multiple care settings. 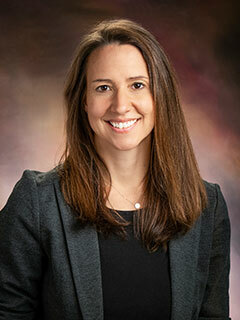 Working at the level of patient care, researchers at the Center for Childhood Cancer Research, including Dava Szalda, MD, developed algorithm-based online portable individual survivorship care plans for cancer survivors. Care plans can be created by survivors themselves and shared with healthcare teams or be created by clinicians. Care plans incorporate predictive models of risk and are tailored to the specifics of the survivor’s case, such as type and location of cancer, types of treatment, gender, age, and other data. These care plans can then educate the survivor and the survivor’s clinicians about potential late effects of cancer therapy. Care plans also contain information about diet, exercise, smoking and other variables that can affect everyone’s health. Psychosocial resources are also provided, offering information about education, employment and other support for survivors in general. All plans contain detailed information as well as a survivor and clinician summary. Studies are currently underway to determine how survivors are accessing healthcare as long-term survivors and what predicts meaningful engagement in follow-up care. Concerning the use of care plans, results from a pilot study of long-term survivors of leukemia and Hodgkin’s lymphoma have been promising, demonstrating that survivors are finding the care plans useful. Feedback from the pilot study informed adaptions to the care plan generator and have improved the efficiency of how patients are cared for in long term follow up clinic. Ongoing work is expanding the population utilizing care plans to both (1) understand the effects of care plans on knowledge and health behaviors and (2) use survivorship care plans coupled with a self-management mobile health intervention. Dr. Szalda works clinically in survivorship clinics and both CHOP and the Abramson Cancer Center. She focuses on the care of adolescent and young adult cancer survivors, seeing survivors of pediatric, adolescent and young adult cancers and helping them managing chronic health conditions and coordinate their healthcare. Her clinical and research program collaborators include: Jill Ginsberg, MD, Linda Jacobs, PhD, CRNP, Lisa Schwarz, PhD, Marilyn Schapira, MD, MPH, and Chrissie Hill-Kayser, MD. Her adult long term follow up clinic can be reached at 215-615-3329 (Coordinator Donna Pucci).